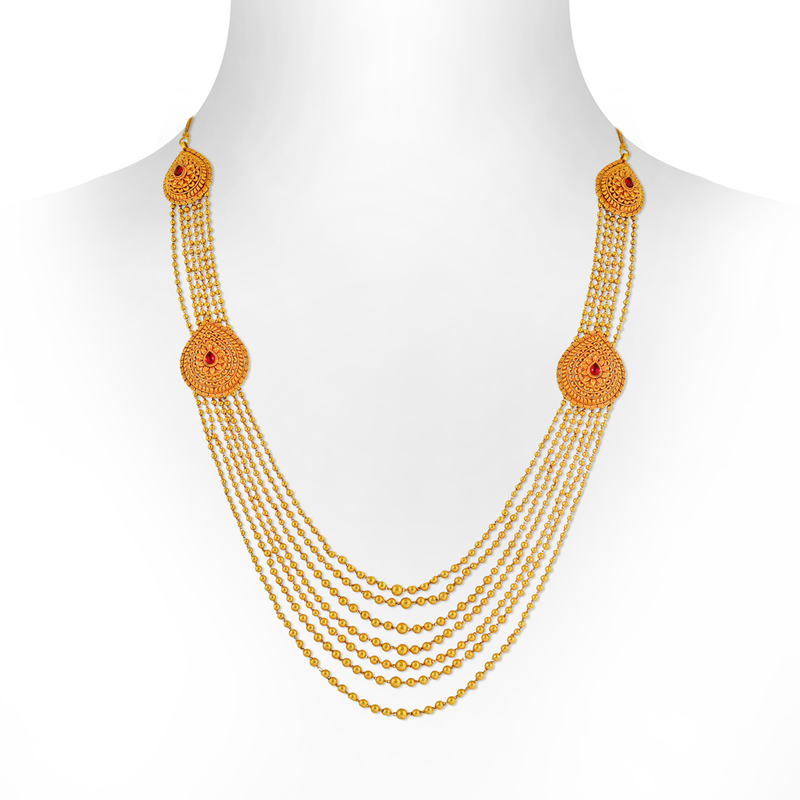 The Classic Charm Gold Necklace is especially designed for the women who have undying love for the traditional jewellery but at the same time, are not shy of trying the latest trends too. Finding a mid-way out, the 22KT gold necklace holds together multiple gold ball chains with side-pendents that give the necklace a unique look. The pear-shaped earrings with hanging gold balls add more charm to the set overall.